The Hans Wehr Dictionary of Modern Written Arabic combines authority and compactness, providing the serious student of the Arabic language with an essential resource in their pursuit. What distinguishes it from other dictionaries is its arrangement according to the root letters of a word. In addition to this, its also rich in the common and classical phrase and examples of use. Authoritative and probably the most popular Arabic bilingual dictionary. An indispensable tool for students, researchers, and translators. Unlike conventional Arabic dictionaries, this is arranged alphabetically for ease of use by those not knowing the root letters. The Imaam Muhammad ibn Saud University Program utilizes Islamic texts as its core material. A student who chooses this program benefits from the correlation between new Arabic vocabulary/grammar and Islamic themes and terminology. This integrated system of learning Arabic via Islam is ideal for Muslim students seeking an Islam-based Arabic curriculum. Most frequently used Arabic verbs are conjugated, one verb to a page. 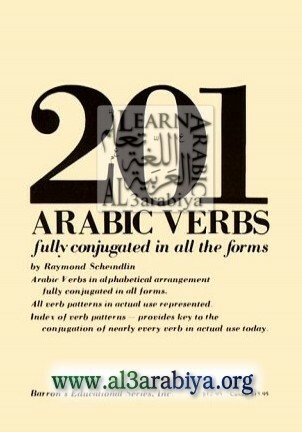 A concentrated review of Arabic verb forms for both beginning and advanced students.